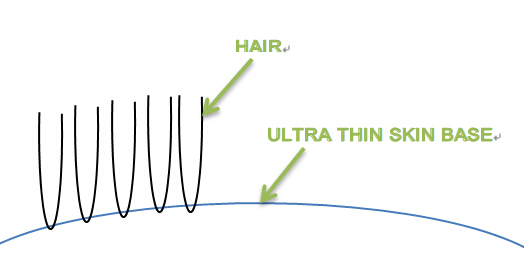 Male hair loss is a distressing problem for many. Here, we’d like to recommend one of the best toupees for men, the ultra thin skin v-looped hair system. First, let’s introduce the base design. The ultra thin skin base is extremely light and clear. When it covers the head, the real scalp can be seen through the ultra thin skin base. The thickness of the base can be made as thin as 0.03mm which you can barely feel. Second, the hair isn't knotted into the base as with most male hair replacements, but is v-looped into the base. The hair goes through the base from one hole and goes out through another hole, giving a V shape look from a side view. Below is a sketch of how the hair is v-looped into the base. Our processes ensure the hair is steadily fixed into the base to avoid shedding. As the manufacturing process does not involve knotting,people won’t recognize it’s a hair system because knots are usually the give away indication. To order a stock v-looped hair replacement system, please click this link. 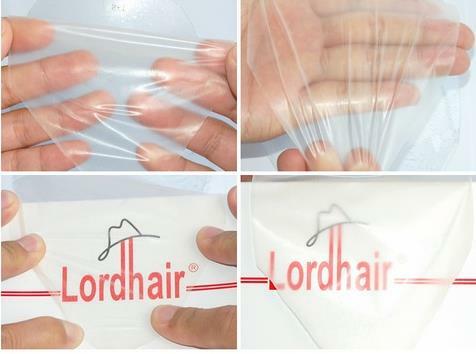 To order a custom made v-looped hair replacement system, please click the following link.